If you knew there was an action you could take that would reduce your risk of coronary disease, help you manage stress and contribute to your mental health, would you take it? Caveat: this action would involve a commitment of up to 20 years in some cases, and possibly a great deal of activity. The action in question? Having a pet. 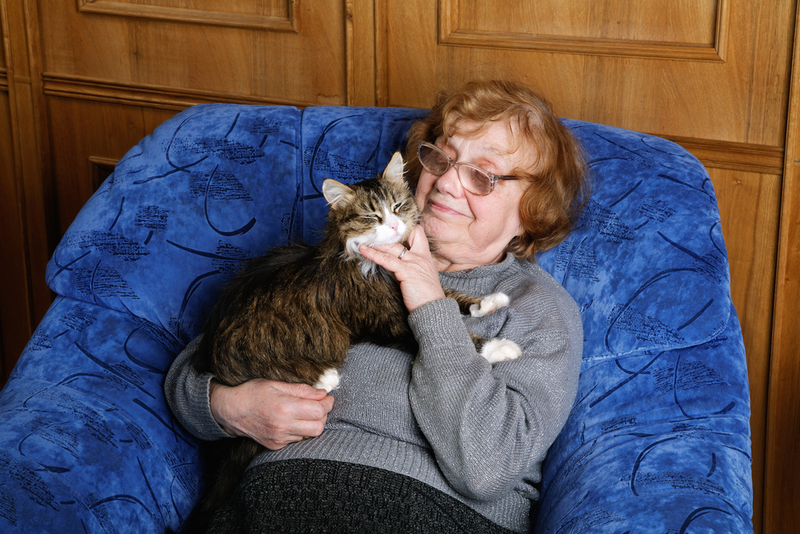 Numerous studies have demonstrated the physical and mental health benefits of pet ownership, from lower blood pressure and higher survival rates among heart attack patients, to a greater sense of personal purpose and general well-being. Among seniors, these benefits become even more pronounced. Coronary heart disease is the number one cause of death among those over 60. According to Carla Sutter, director of operations at SYNERGY Home Care, pet owners have 0.6 percent fewer visits to the doctor’s office, resulting in an annual savings of $11.37 billion. Dog owners are less prone to obesity due to daily walks. For seniors, walking a dog also keeps them active at a time when some of their non-pet-owning contemporaries are becoming more sedentary, a key factor in maintaining health while aging (hence the increased activity level vs., say, rabbit owners). Among those whose living situations won’t support pets, there is still some good news. Even looking at images of animals, lowers blood pressure and reduces stress. “That’s why pet videos have some of the highest viewership on YouTube,” says Sutter. One study found that people at an Alzheimer’s Community who dined in front of aquariums with brightly colored fish ate more, got better nutrition, and were more attentive and less lethargic. If someone already had a heart attack, animals can still make a difference. One UCLA study found that after a 12-minute visit from a therapy dog, patients with heart failure had improved cardiopulmonary pressure, healthier neurohormone pressure and less anxiety. Another 2009 study discovered that anyone who had owned a cat – at any point in their lives – was 37 percent less likely to die of a heart attack. “This kind of research is certainly increasing and enhancing the environment we are providing acute and chronic care in because the recognition of the value is so key,” says Sutter. To learn more, visit the SYNERGY Home Care website or call SYNERGY at 360-338-0837. Come on down to Tipsy with your instruments and charts and join hosts Joanne Green and Brendon Keenan for some jazz. All-day Happy Hour and fabulous Tipsy fare.